Everyday Inspiration : From Heather Ann! 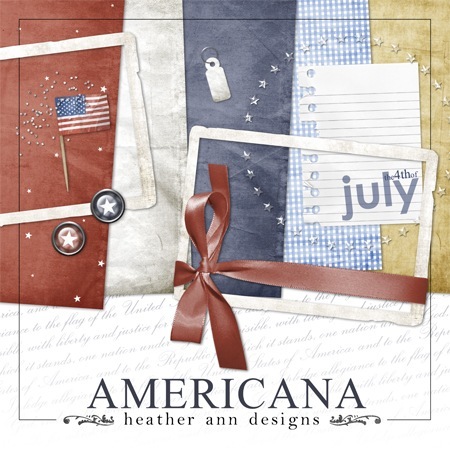 It really has been a joy having Heather Ann Melzer, owner of Heather Ann Designs as our featured artist. Before she goes, she shares some everyday celebration inspiration for us. It really is about finding joy in the little things! Tell us about an everyday celebration that you documented. 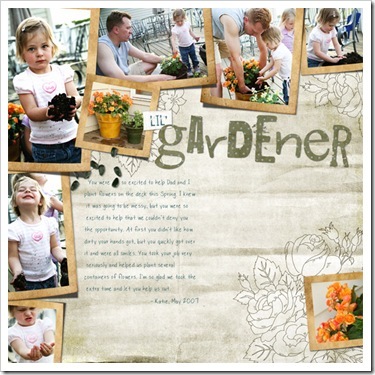 "I recently created this kit called Watch Me Grow, which has some really fun gardening elements in it. 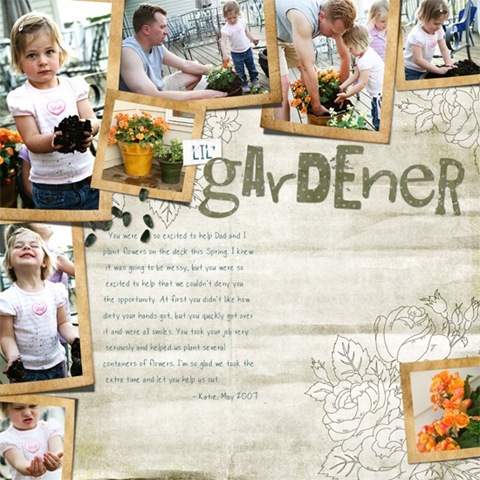 After I finished it, I remembered these pictures of my middle child, Katie, helping us plant flowers on the deck last Spring and had to scrap them. We resisted the urge to just get it done let her help us (even though it was really messy and took much longer than we anticipated). She’s always so eager to help and has amazing focus. I wanted to document this event to capture that part of her personality." Can you share info on any new projects you might be working on right now? "I’m working on a really exciting album project right now that’s perfect for summer memories (coming to my shop very soon), as well as a 2007 photo book that scraps our family life monthly using my Monthly Memories Kit." What is your favorite piece of technology? "That would definitely be my camera. My husband combined several birthday, Christmas, and Mother’s Day gifts into one and bought me a Canon 5D last year. That and my 24-70 lens are my prized technological possessions." 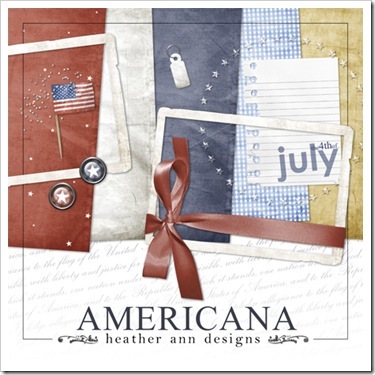 Here is a patriotic mini kit called "Americana" from Heather Ann. What a treat! Please remember that the freebie is for personal use only! Love, love, love it, Heather!!! Thanks so much!!! Wow! Thank You!! I love your LO of your little gardener!! Thanks for this cute kit! Thank you for sharing this cute 4th of July kit!! I love your work!! Love the softness of the colors! Thank you so much for this great kit! Great Mini - thank you for this very nice gift Heather Ann! I’m back from my holiday and here to give you some of that good ole...Link Love...!!! Pretty awesome stuff…thank you soooooo much!!! thanks so much for the great mini kit! Thank you so much for all the gorgeous freebies! Thanks! This is so nice.